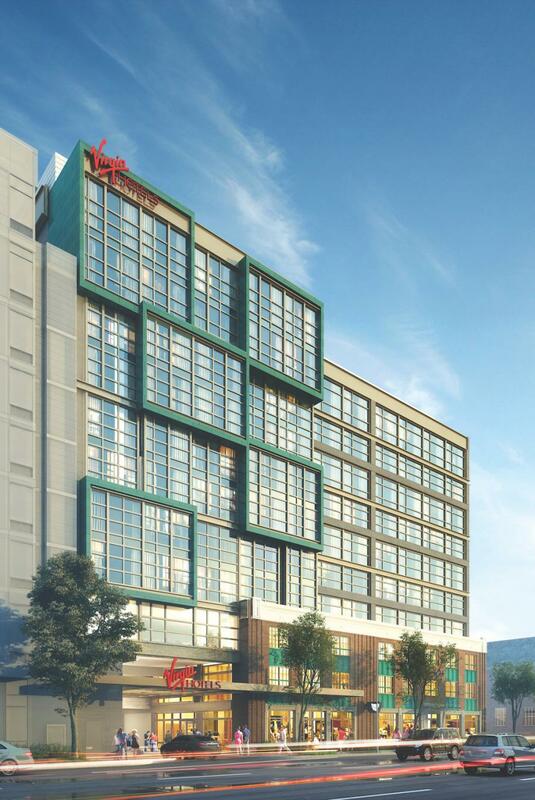 Virgin Hotels, the lifestyle hotel brand by Virgin Group founder Sir Richard Branson, has announced plans to open and operate a new hotel in Washington, D.C.
Expected to open in fall 2019, the brand's first Washington, D.C. property will reside in the city's emerging Union Market area. It will be managed by Virgin Hotels and developed by D.B. Lee Development & Construction and Brook Rose Development. Virgin Hotels Washington, D.C. Union Market will feature 178 Chambers and Grand Chamber Suites; multiple dining and drinking outlets, including the brand's flagship space, Commons Club; a coffee shop; panoramic rooftop lounge with an infinity pool; as well as multiple meetings and events spaces. The hotel also will honor the history of the Union Market area, as well as the artistic roots of the site's former structure, with the implementation of its own artists-in-residence program. Numerous art studios will be located on the second level and alley way, along with an outdoor garden featuring sculptures by local artists. Virgin Hotels Washington, D.C., Union Market is a new build located at 411 New York Ave., serving as neighbor to the Union Market, an acclaimed culinary destination inspired by Seattle's Pike Place Market. A hotbed for development and creativity, the Union Market area is experiencing exponential growth and will welcome many exciting residential, culinary and retail projects in the years leading up to and beyond the hotel's anticipated opening. The brand's first hotel, Virgin Hotels Chicago, is now open and accepting reservations at www.virginhotels.com, with San Francisco, Dallas, Palm Springs, Silicon Valley, New York, New Orleans and Nashville slated to open next. Virgin Hotels continues to explore properties in cities such as Boston, Los Angeles, Miami, Austin, Seattle, Boston, Toronto, Montreal and London. Kenworth W990 Begins Transport of U.S. Capitol Christmas Tree to Washington, D.C.